When I first learned to knit it was from a book from the 70’s. It’s not like I’m the first person to learn to knit from a book, but I can’t say it’s terribly common. 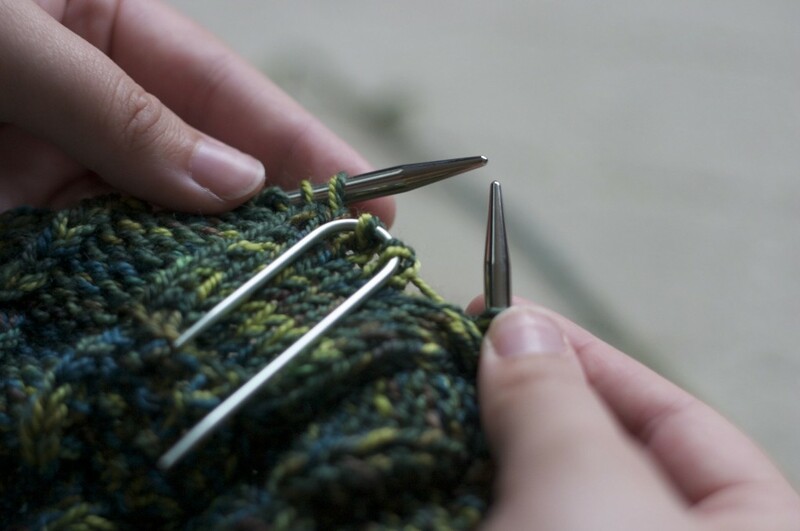 I feel that most people have stories of grandmothers, mothers, or friends that taught them the basics of knitting. My grandmothers and mother don’t knit. My mom actually used to knit a bit but just the basics. 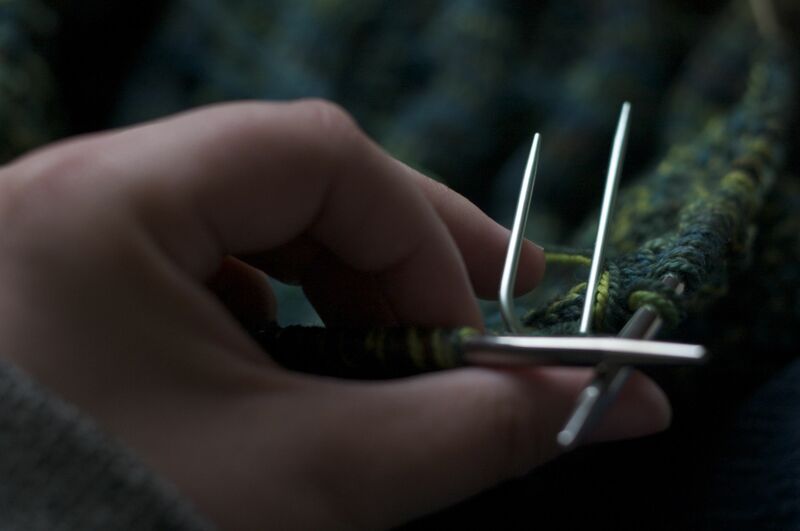 They are hearty and craftastic women who have many other crafty hobbies, but knitting just isn’t one of them. So it was that I learned to knit from a stitchionary (like a dictionary, but for stitches). It didn’t exactly give me the best technique (insert beginner knitter looking in confused horror at Alexa’s knitting style) but I sure did learn a thing or two about different stitches. I started with a hideous purple acrylic square and was hooked on knitting. From there I decided I would design a blanket with strips of different stitches. This way, my thinking went, I would learn all these different stitches. 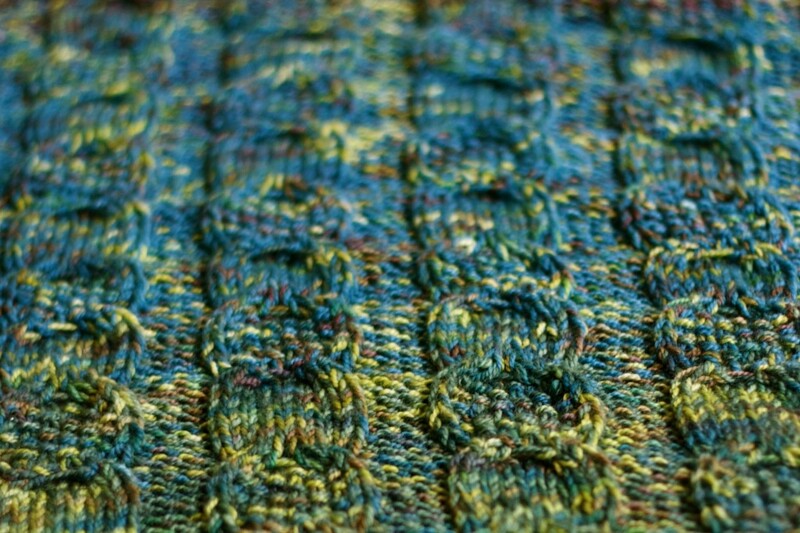 There were some with combinations of knitting and purling, some with a little beginner style lace, and some with cables. I put little seed stitch border on them and sewed them together to form some cute and cozy blankets. Side note: I made them about 6.5 feet long because of my rather large brothers, it was a bit nuts. It was a great introduction to the wonderful wide world of knitting! 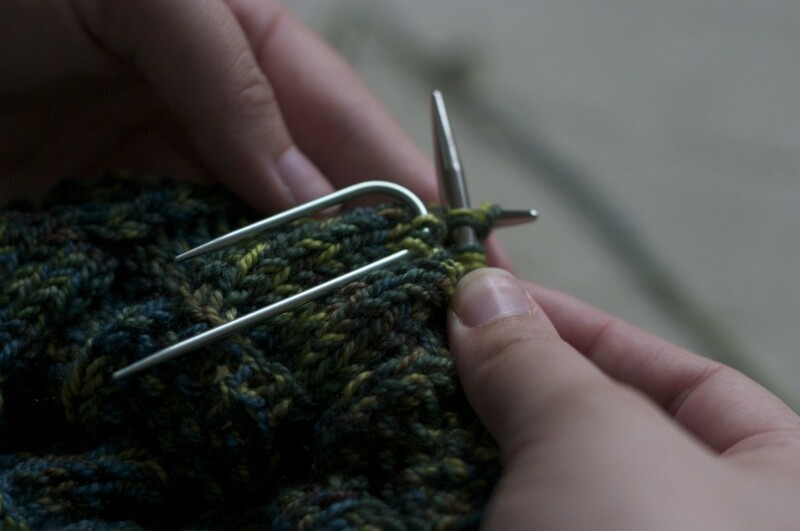 At its most basic a cable is the reversal of stitches. 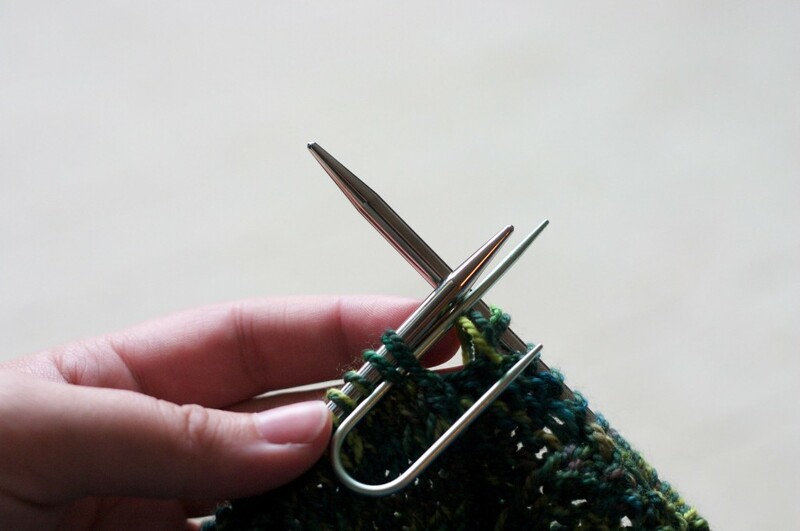 If you are cabling over 4 stitches you will come to those stitches in order: 1 2 3 4 . When you cable them you are knitting them in a different order: 3 4 1 2. That’s all there is to it! 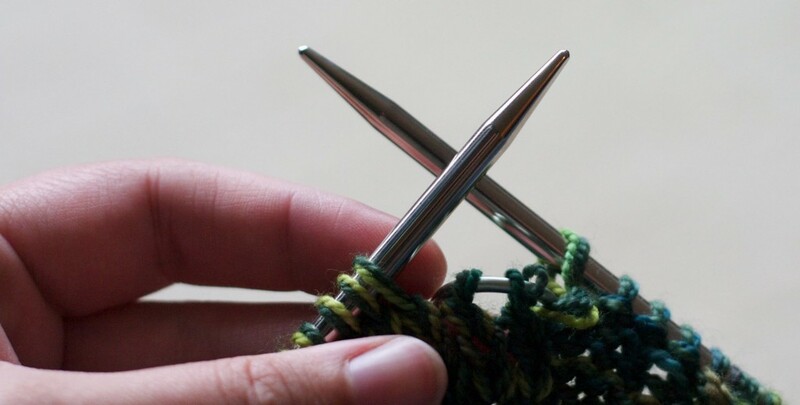 Then you will knit the 2 stitches from the cable needle. 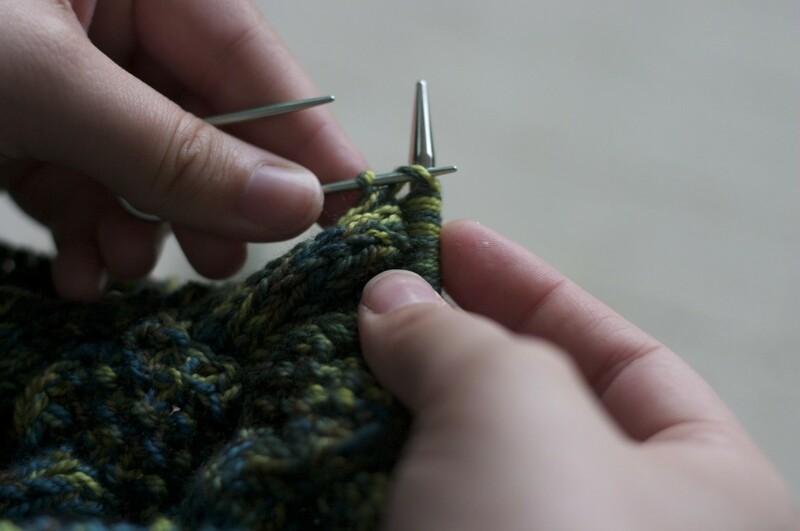 Sometimes people slip these stitches back onto the left hand needle but I just cut out the middle man and knit straight from the cable needle. Everything else will be the same, 2 from the left needle, 2 from the cable needle. There you have it, cabling is as easy as 123. So, don’t be afraid to go out and try your first cabling project, it’s not so scary, I promise! This entry was posted on Monday, May 3rd, 2010 at 11:39 pm	and is filed under Uncategorized. You can follow any responses to this entry through the RSS 2.0 feed. Both comments and pings are currently closed.